Finally, the three Redmi 6 series smartphones have hit the Indian market. Xiaomi is a successful smartphone brand in the country, especially in the budget and mid-range market segment. Today, the company has taken a major leap by launching three smartphones in the country. The company has much-anticipated Redmi 6, Redmi 6A and Redmi 6 Pro smartphones have been launched in India at an event in Delhi. Xiaomi Redmi 6 and Redmi 6A were launched in early June in China. On the other hand, the Redmi 6 Pro was unveiled later in June in the company's home market. The Redmi 6 Pro comes with a notch display while the other two models do not have one. All these three smartphones will be made in India. These devices will arrive dual pyrolytic graphite sheets for protecting the battery from heat. Let's take a look at the details of these smartphones launched in the country from below. The Redmi 6 adorns a 5.45-inch HD+ 2.5D curved glass display with a resolution of 1440 x 720 pixels and an aspect ratio of 18:9. It has a screen-to-body ratio of 80.7%. Under its hood, the smartphone employs an octa-core MediaTek Helio P22 (MT6762) processor clocked at 2GHz. This processor is teamed up with an IMG PowerVR GE8320 GPU. The smartphone has been launched in two variants - one with 3GB RAM and 32GB storage space and the other with 4GB RAM and 64GB storage space. Both these variants support expandable storage support up to 256GB with a microSD card. There is a dedicated microSD card slot on board along with a dual-SIM card slot. 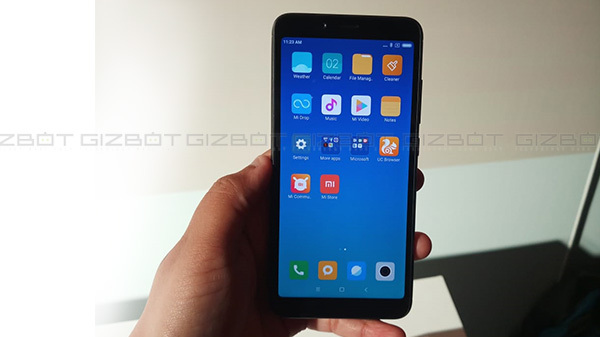 The Redmi 6A smartphone flaunts a 5.45-inch HD+ 2.5D curved glass display with a resolution of 1440 x 720 pixels and an aspect ratio of 18:9. This smartphone comes with a 2GHz quad-core MediaTek Helio A22 12nm processor paired with 2GB RAM and 16GB storage space. There is a dedicated microSD card slot supporting up to 256GB of additional storage. It features a 13MP rear camera with LED flash with features such as EIS for better video recording and a 5MP selfie camera with AI portrait AI Beautify 4.0. This is the first smartphone in this segment to feature EIS, Electronics Image Stabilization. The smartphone misses out on a fingerprint sensor but has an infrared sensor on board. There are unlock options such as AI Face Unlock, Smart Unlock and Unlock with Mi Band. It has a dual 4G VoLTE, Dual Standby, runs MIUI 9.6 based on Android 8.1 Oreo and will get the MIUI 10 update and a 3000mAh battery. 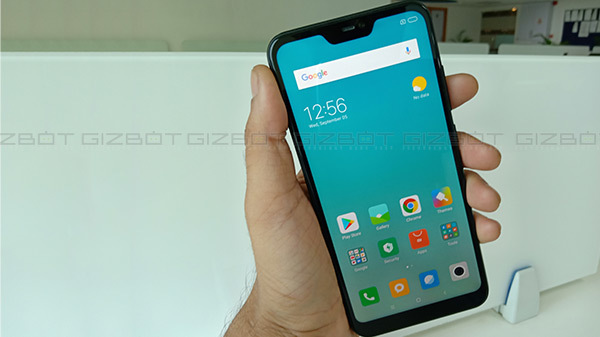 Xiaomi Redmi 6 Pro is the notch display smartphone among the trio. The smartphone bestows a 5.84-inch FHD+ 2.5D curved glass display with a screen resolution of 2280 x 1080 pixels and an aspect ratio of 19:9. Users who don't like notch can turn it off using the Hide Screen Notch under the Settings menu. 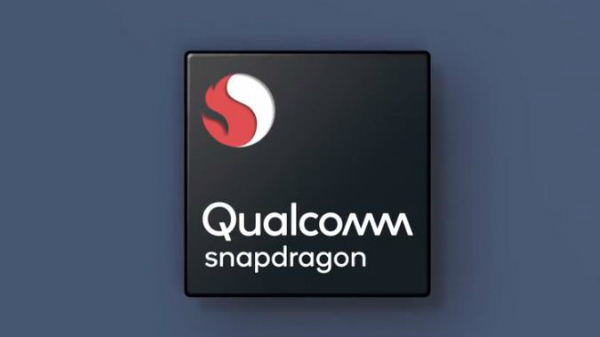 Under its hood, the device makes use of a 2GHz octa-core Snapdragon 625 SoC based on the 14nm process paired with Adreno 506 GPU, 3GB/4GB RAM and 32GB/64GB storage space. There is a dedicated microSD card slot supporting up to 256GB storage space and dual SIM card slot. Running Android 8.1 Oreo topped with MIUI 9.6 and will get the MIUI 10. This Xiaomi smartphone supports dual SIM with two nano SIM cards and a dedicated microSD card. The smartphone makes use of a 12MP rear camera with LED flash and a Sony IMX486 sensor, f/2.2 aperture and PDAF and a 5MP selfie camera with Samsung S5K5E8 sensor and f/2.2 aperture. This camera comes with AI portrait mode. This dual camera module is similar to the one used by the Xiaomi Redmi Note 5 Pro. There is a 5MP selfie camera at the front with AI portrait selfie. The other goodies on board include 4G VoLTE, Wi-Fi, Bluetooth 4.2, GPS, a fingerprint sensor, an infrared sensor and a 4000mAh battery with a two-day battery life. There are other aspects such as AI Face Unlock, a fingerprint sensor, smart unlock and unlock with Mi Band. The Redmi 6 Pro will arrive with an ultra-slim case bundled in the box. The Redmi 6 comes in four colors - Rose Gold, Black, Gold and Blue. 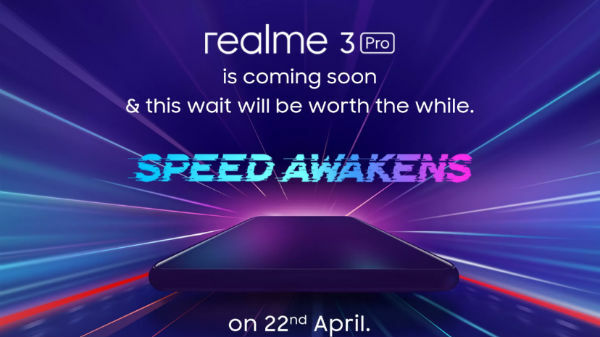 It will arrive in two variants 3GB RAM + 32GB storage space priced at Rs. 7,999 and 3GB RAM + 64GB storage space priced at Rs. 9,499. The sale will debut on September 10 via Flipkart, Mi.com, Mi Home stores and offline partners. There will be a Rs. 500 off using an HDFC Bank debit or credit card for the first sale. Xiaomi Redmi 6A has been launched in Black, Gold, Rose Gold and Blue and is priced at Rs. 5,999 for the 2GB RAM + 16GB storage and Rs. 6,999 for the 2GB RAM and 32GB storage. The sale will debut from September 19 via Amazon, Mi.com, Mi Home stores and offline partners. The Redmi 6 Pro comes in Black, Gold, Blue and Red. This one comes in two variants - 3GB RAM + 32GB storage space priced at Rs. 10,999 and 4GB RAM + 64GB storage space priced at Rs. 12,999. This device will go on sale on September 11 via Amazon, Mi.com, Mi Home stores and offline partners. The HDFC Bank offer of Rs. 599 applies to this one as well. All these are introductory prices and after 2 months later, there could be an increase in the price based on the value of Indian currency against Dollar.